Many people have asked me ‘How to register for GAT General Test?’ This is because, the registration procedure has now changed to online portal. 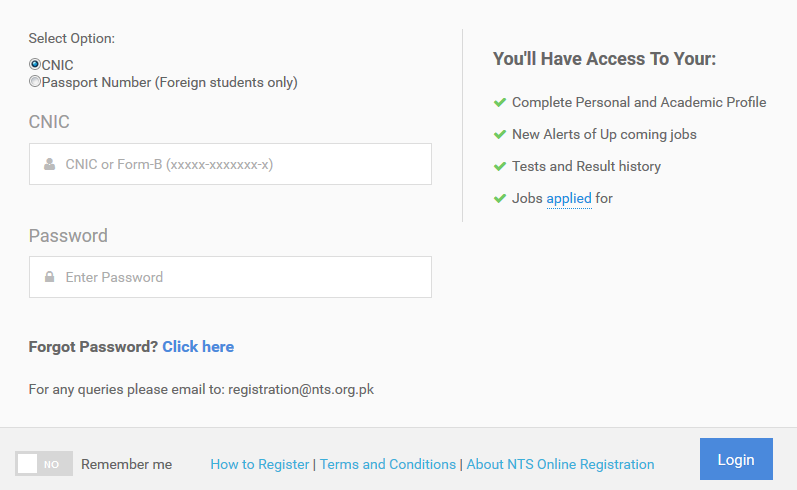 It has become more comfortable to register for GAT General test in Pakistan. Below are the steps you may use to register for GAT General test. Fill this form carefully, and click on check box proclaiming “I agree to the Terms and Conditions“. 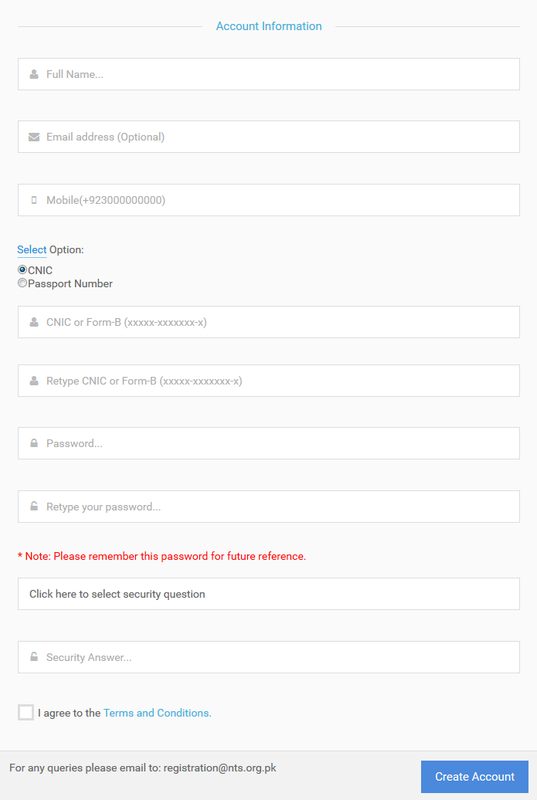 And then click on Create Account button at right side on bottom of the form. Thereby your account will be created. Enter your detail that you used while creating your account. After that you will need to fill your complete online form with details of your academic records, etc. You may fill that form and download the bank challan form. Submit the prescribed fee the any of the bank mentioned in the challan form. Create a copy of this challan form and keep it with you till you receive SMS prescribing your roll number and Test center. You’ll need to dispatch the challan form to NTS Islamabad office address: 1-E, Street No. 46, I-8/2, Islamabad. How hard is the GAT Test?